The Repertory Theatre of St. Louis believes that great art can spark great conversations, and we continually strive to offer plays that provoke dialogue. Our newest offering, Until the Flood, not only endeavors to invite discussions but is entirely based on them. 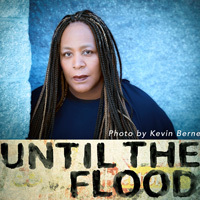 To that end, The Rep is offering a substantial ticket discount for all Webster University students and staff wishing to attend Until the Flood throughout its run (Oct. 12-Nov. 6). Student tickets are $10, and faculty and staff tickets are $20. This is up to 85% off the regular ticket price. Celebrated writer, performer and Pulitzer Prize finalist Dael Orlandersmith spent a week in St. Louis, listening as many of our friends and neighbors described their lives in the wake of recent social unrest. From these conversations, Orlandersmith crafted a stunning piece that reflects the complexity of St. Louis without advancing any one viewpoint above others. Students: To claim this $10 ticket offer use promo code COLLEGE10. Educator/Staff: To claim this $20 offer, use promo code EDUCATOR20. Online at repstl.org. Select any performance, select Section II and III seating (green or orange-colored seats on online ticket map), click checkout, enter promo code COLLEGE10 or EDUCATOR20. Limit four tickets per purchase. Bring your valid school ID to The Rep Box Office when picking up your tickets. Special pricing only available for Section II and III seating. Limited number of discounted tickets available - once they're gone, they're gone. Prior sales excluded. Cannot be combined with other offers. No exchanges.